Leading Wholesale Trader of prebiotic and probiotic with zinc for oral suspension, amoxycillin and potassium clavulanate oral suspension ip, cefpodoxime and potassium clavulanate for oral suspension, regofix c cefixime clav dry syrup, cefixime proxetil for oral suspension ip and cefpodoxime proxetil for oral suspension ip from Panchkula. 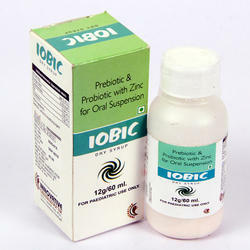 We are offering Prebiotic and Probiotic With Zink for Oral Suspension to our clients. 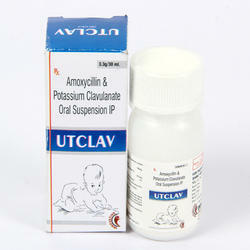 We are offering Amoxycillin and Potassium Clavulanate Oral Suspension IP to our clients. Utclav Dry Syrup (200/28.5 mg) Dry Syrup is a combination medicine used to treat a variety of bacterial infections. Amoxycillin interferes with the growth and division process of the bacterial cell wall while clavulanic acid ensures extended anti-bacterial activity. This combination is used to treat severe bacterial infections of the lungs and airways, middle ear, sinuses, skin, and the urinary tract. This medicine is used to treat infections of the middle ear caused by bacteria. This medicine is used in the treatment of infections of the nose and nasal chamber caused by bacteria. This medicine is used in the treatment of infections of the airways leading to the lungs. The infections can be Pneumonia, acute bronchitis, or others caused by different bacterial strains. This medicine is used in the treatment of infections of the skin and skin structures caused by bacteria. We are offering Cefpodoxime and Potassium clavulanate Dry Syrup to our clients. 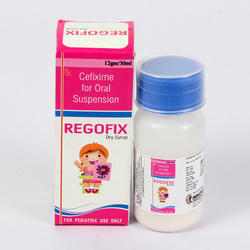 We are offering Regofix C Cefixime Clav Dry Syrup to our clients. We are offering Cefixime Proxetil for Oral Suspension IP to our clients. 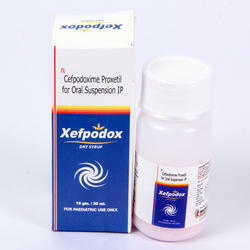 We are offering Cefpodoxime Proxetil for Oral Suspension IP to our clients. We are offering Cefixime for Oral Suspension to our clients.